Many of you must be irritates of being late at morning just because of you woke up late at morning and your android alarm did not work for you as listening the same way of alarm might not helping you to woke up. 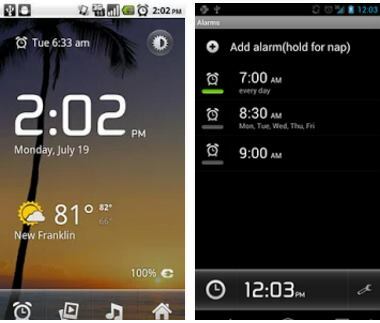 So use the android apps that will help you to woke up at time. 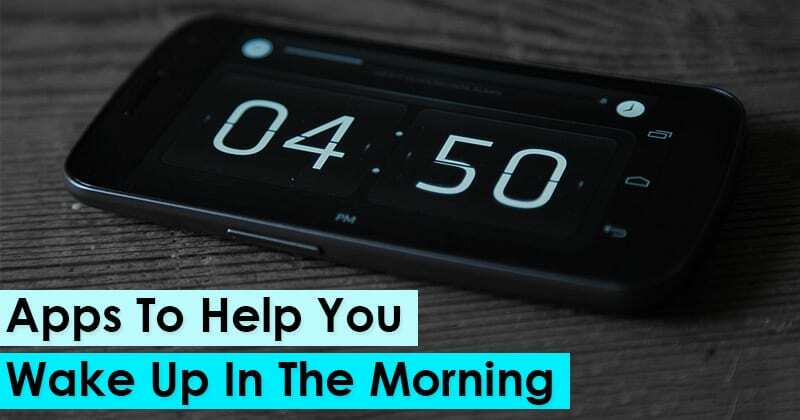 Now you need to try out some of the cool android apps that will allow you to wake up easily in morning as the apps that we are discussing right here will come up with some special method and a new way that will definitely help you a lot. 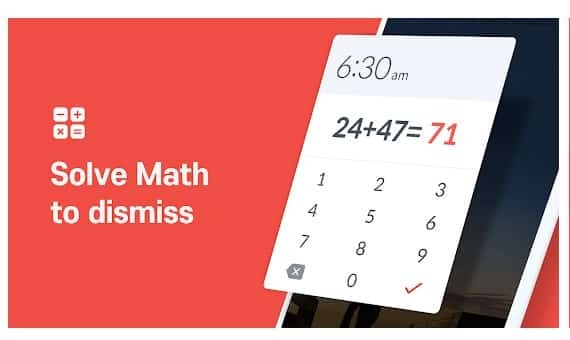 Like some will have mind puzzling alarm lock snooze and off and you will need your mental activity before stopping the alarm and that will wake you up mentally. So have a look at these apps discussed below to proceed. 1.7 #7 I Can’t Wake Up! 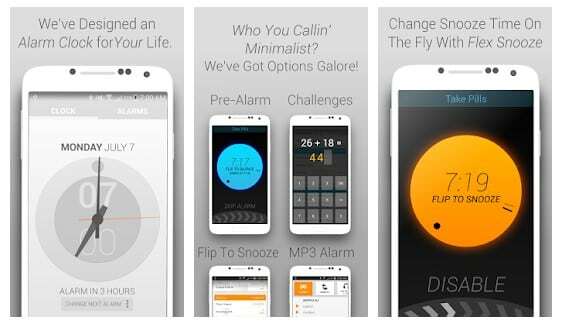 We have selected some of the cool apps that will allow you to wake up mentally in morning. So have a look at these apps below. The one of the best alarm that helps you to woke up mentally in the morning as you need to use your mind to stop the alarm. Alarm Clock will check if you’re awake enough before you’re allowed to turn alarms off. So must give a try to this cool app. 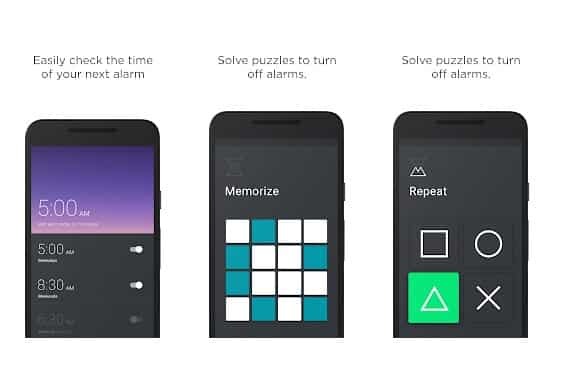 Smart Snooze lets you limit the amount of time you can snooze! Wake challenges make sure you’re awake, and we’ve got some loud tones to BLAST you out of bed. So try this out today. Alarm clocks can’t know if you are in light sleep or deep sleep (those movement based alarm clocks don’t work) but they can play a very quiet pre-alarm which you will only hear if you are in light sleep. If you are in deep sleep, you will simply sleep through the pre-alarm. This is quite simply, the best alarm clock I’ve ever used–including physical alarm clocks of the digital, analog, and wind-up varieties. So must give a try to this app. 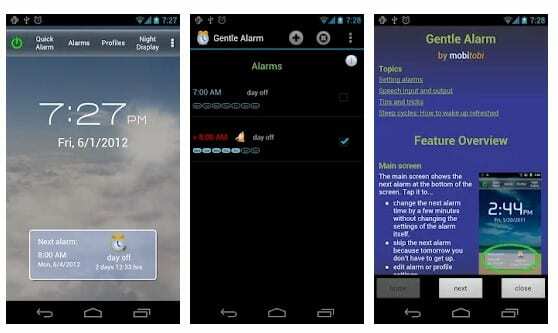 Sleep as Android is one of those useful Android apps which allows users to monitor their sleep patterns. The good thing is, you can set some gentle nature sound as alarm ringtones like birds, sea, storm and much more. 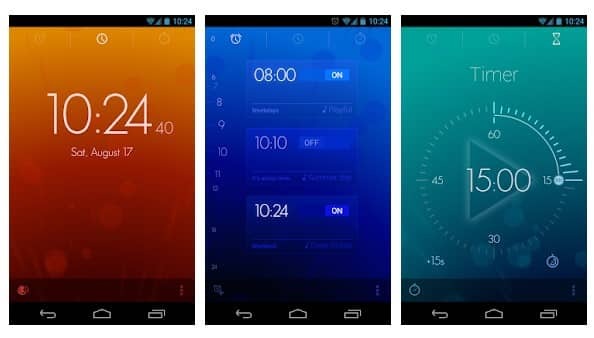 These are one of the best Android apps that can help you to wake up in morning. #7 I Can’t Wake Up! This app is for those who don’t want to wake up in the morning. The app works uniquely. 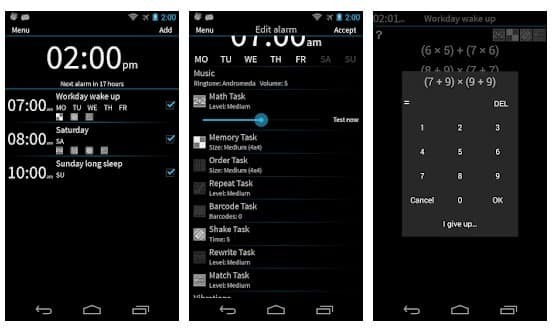 It shows up different tasks which you need to do to stop the alarm clock. 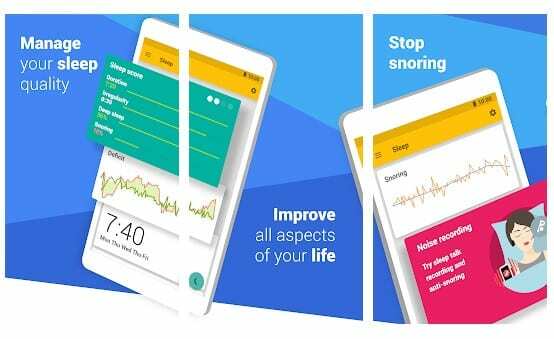 You will be given tasks like solving a math equation, writing exercises, memory tests and almost everything that will test your snoozing skills. 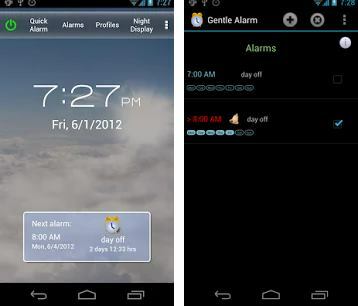 This is another simple yet effective Alarm clock which you can have on your Android smartphone. The app motivates users to wake up in the morning because it serves hand-crafted sounds of nature as an Alarm ringtone. Not only these, but the app also features several challenges which you need to solve to stop the alarm from ringing again and again. 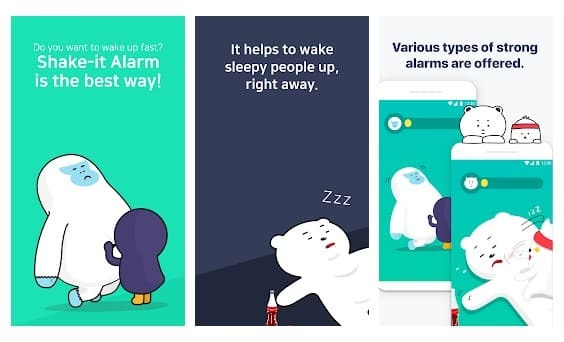 If you are looking for an ideal alarm clock app to wake you up in optimal time, then Good Morning Alarm Clock might be the perfect pick for you. Guess what? Good Morning Alarm Clock provides users night stats and notifies if users have changed their sleeping habit. 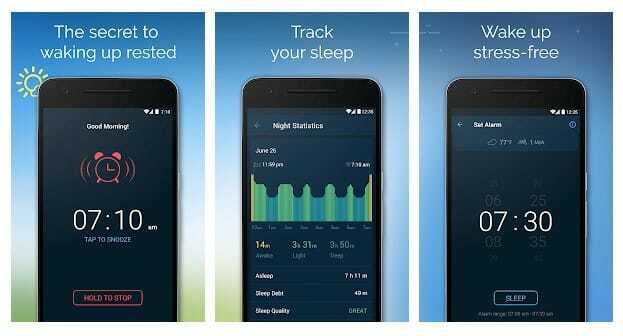 Not just that, but the app also provides users a detailed analysis of the sleep habits. If you are looking for an extraordinary way to get up in the morning, then Shake-it Alarm might be an ideal choice for you. Guess what? Shake-it Alarm offers users a different way to wake up. You can either choose to share your phone to stop the alarm, scream off, touch off the screen hardly, etc. 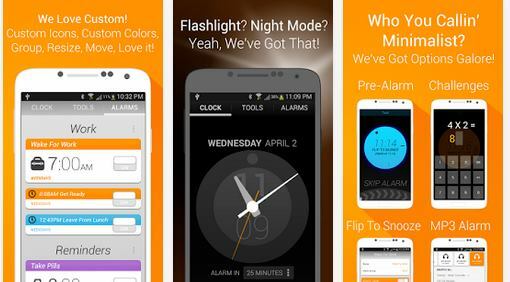 So, Shake-it Alarm is indeed a great alarm app that you will love to use for sure. 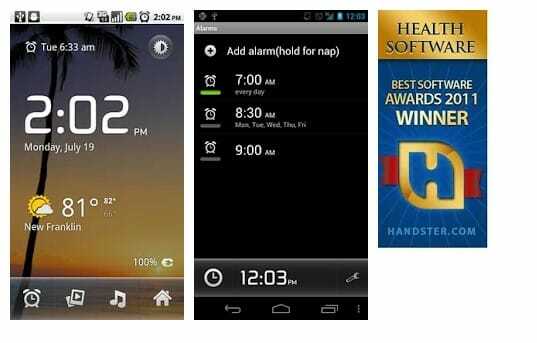 So above are the Best Android Apps to Help You Wake Up in the Morning, So use these apps and that will make you woke up early in the morning. And these will need your mind activities while waking up in the morning and you will be mentally awake. So must try out these apps and have fun.